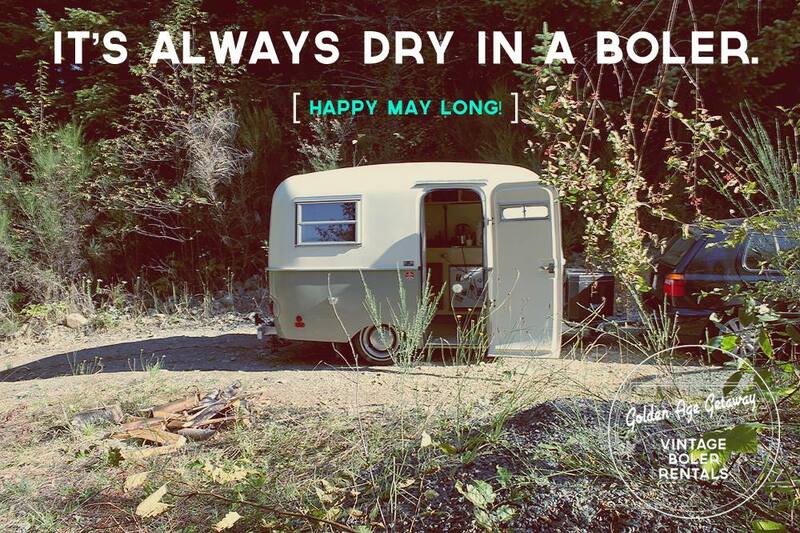 A vintage trailer rental company I started in 2012. 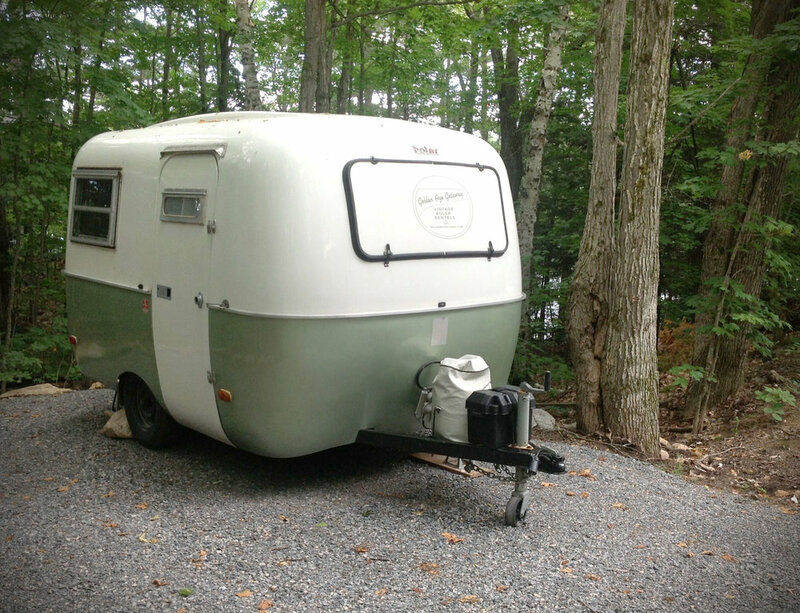 The idea was sparked from a tired 1973 Boler Trailer that I purchased and restored to it’s original glory. 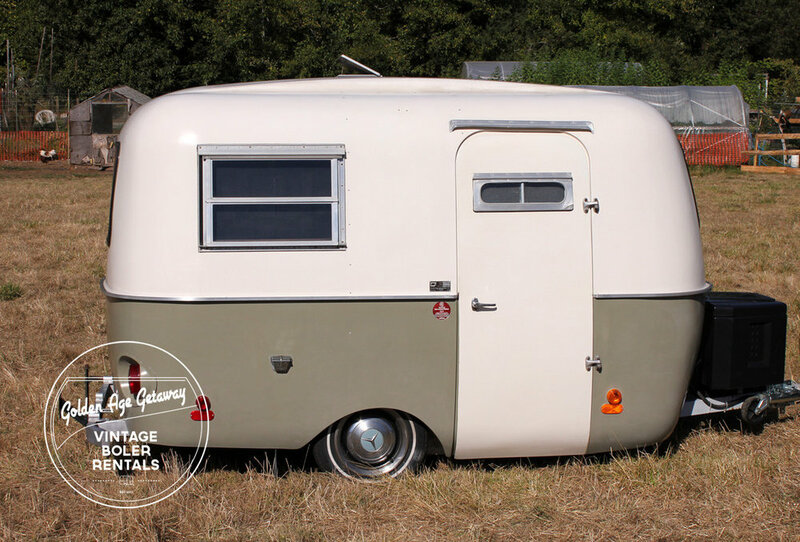 The trailers were outfitted with solid walnut cabinetry, orange tweed upholstery, patchwork curtains and cushions made from Japanese and Danish textiles, vintage camping gear, books, and games with a number of modern conveniences like bluetooth speakers and a refrigerator. In a pre-airbnb, and sharing economy era, I marketed the company on social media, online classifieds and through local editorial. 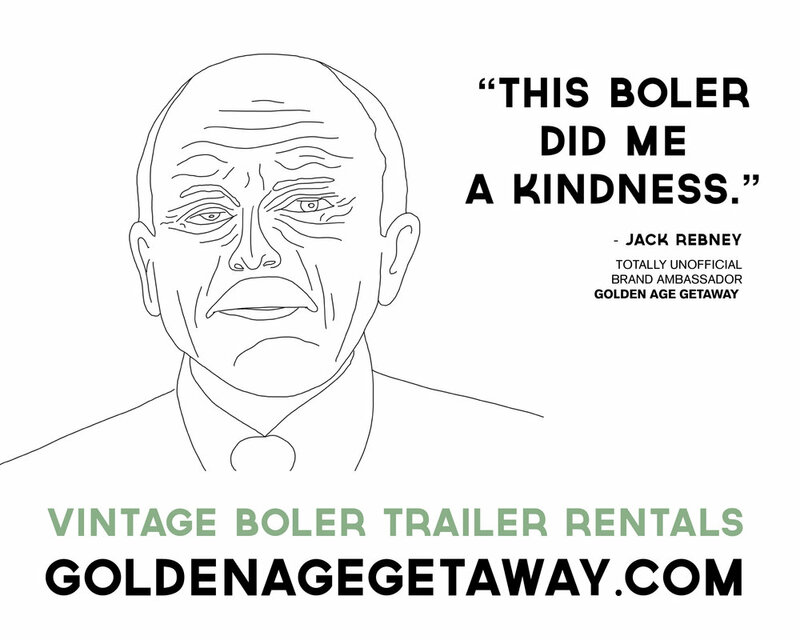 I created a low-key campaign using Jack Rebney as the ‘unofficial spokesman’ and created haphazard line drawing portraits, gifs, videos and memes to advertise the trailers through various channels. Not only was Golden Age fully booked with happy campers in the first season, but through word-of-mouth, it was quickly reserved for the second summer. I operated the company for three seasons and sold the business in 2015.